When it comes to K-9s, the nose always knows. 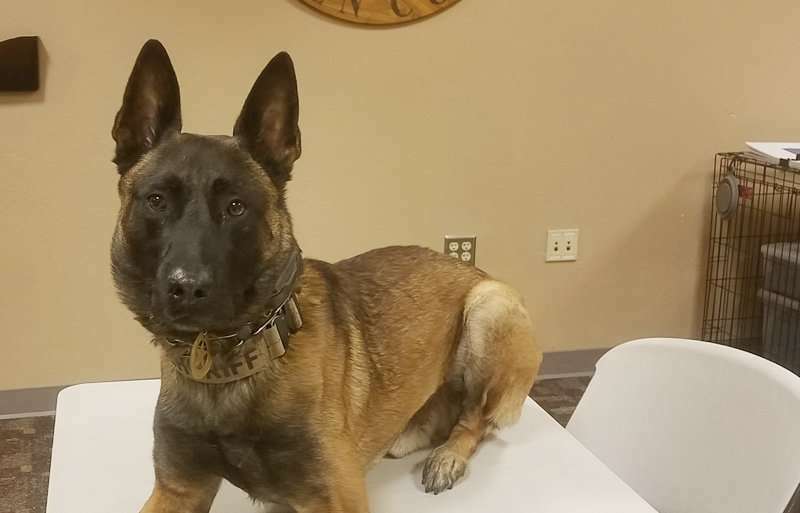 Thanks to Brinks, the Lassen County Sheriff’s K-9, what started out as a traffic stop led to the arrest of two Lassen County men on weapons and drug charges. 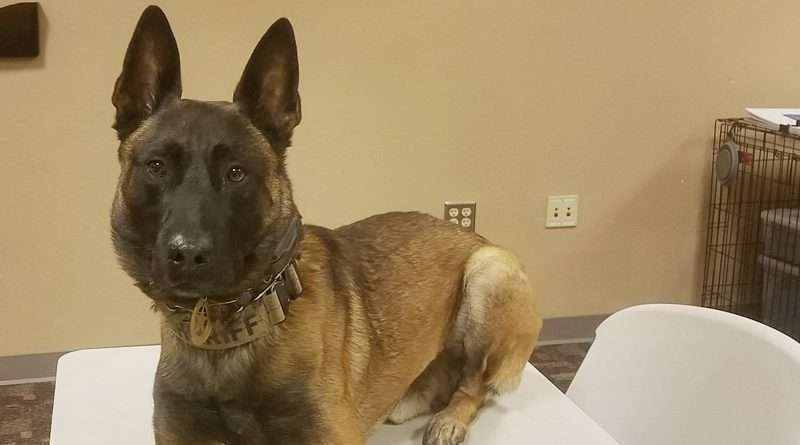 According to a statement from the LSCO, Russell, a Lassen County Sheriff’s deputy and K-9 handler, was on patrol in the area of Center Road with his K-9 Brinks in the early evening hours of Sunday Jan. 28 when he observed a vehicle speeding. Russell eventually conducted a traffic stop in the area of Rice Canyon Road. Joshua Doyle, 25, of Susanville. During their investigation, Russell and Brinks conducted a walk around of the vehicle. Brinks is cross-trained for protection and narcotics detection and displayed a positive alert on the car. 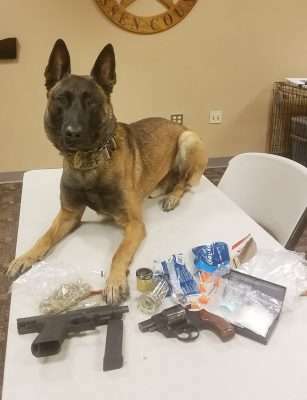 A search revealed Doyle, an ex-felon, was in possession of two loaded firearms, one of which was reported stolen several days ago in the city of Susanville. Additionally, a large amount of methamphetamine, drug paraphernalia and other items consistent with drug sales were discovered on Doyle. More than 47 grams of methamphetamine was seized, and Doyle was arrested on the following charges: convicted felon in possession of a firearm, possession of controlled substance while in possession of a firearm, carrying a concealed stolen firearm, convicted felon carrying a concealed weapon and possession of controlled substance for sale. Doyle was booked into the Lassen County Jail and is being held in lieu of $35,000 bail. Stewart, the driver, was found to be in misdemeanor possession of heroin. He was arrested and released at the scene on a notice to appear.